I’m finally back to work after moving from Belgium to Chile. 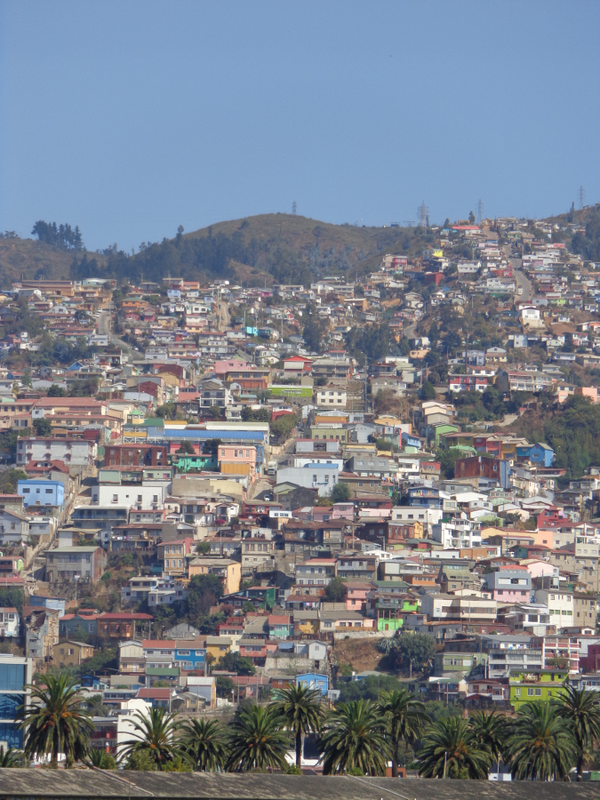 I’m thrilled to start a new position as an ALMA-CONYCIT research associate at the Universidad de Valparaiso. Even with the help of past experience, this time moving countries took a considerable amount of effort to accomplish, and I thought I’d write about the journey here. First, let me be clear: written below are just the facts of what it took to move institutes. I’m just going to be frank and honest about the experience, what was expected of me, and what I did. The key motivation was simply to keep working in science. I loved my time in Gent. I was a very happy and productive worker. During the two years, I was able to double my first and nth author publications, present my research at numerous conferences, attend a number of collaborative meetings and went observing. The research group was great. Things were going great. However, the position had a limited lifespan due to my Herschel-related funding from BELSPO (set by the demise of Herschel, I think) and I needed to pursue other avenues of funding to continue research in Belgium. I made applications, they were rejected, and the funding ceased at the end of 2014. At this point, I didn’t have any concrete offers for another postdoc position – I was clearly wishful-thinking (or possibly under the influence of delicious Belgian beer) that we could stay longer in Ghent. Regardless of where we would end up, either staying in academia or leaving to become a data scientist, physics teacher etc., any future bureaucracy or visa applications would be much easier dealt with from my permanent home in the UK. After all options were considered for moving, my wife and I decided to first travel back to the UK via the Eurostar, from where I could easily hire a van for moving everything out of our rented apartment. One weekend in February, my parents and I drove from Birmingham to Ghent, packed up all our belongings and furniture (affectionately known as the portable Ikea showroom) and drove it back to the Birmingham. 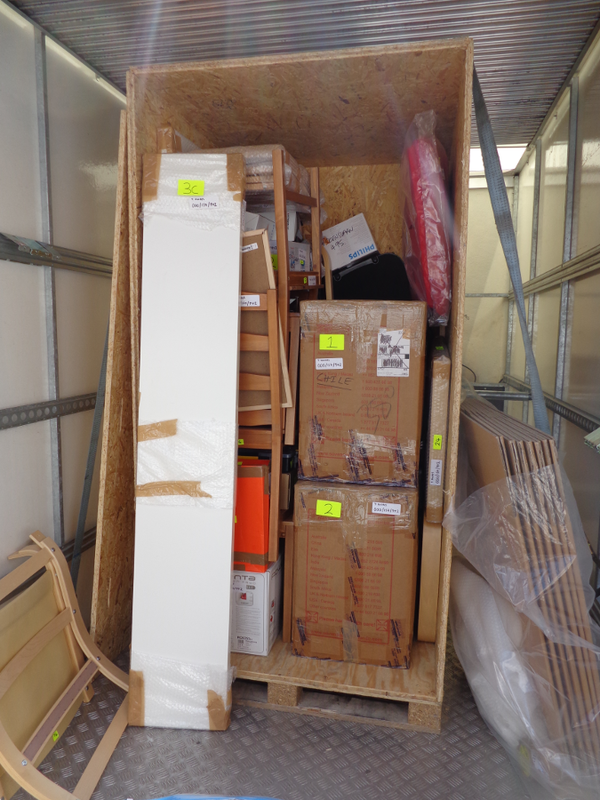 I hired a storage locker and organised everything for the possibility that we may need to shortly ship it elsewhere. Finding a job is a brutal process; it’s uncertainty can be crippling and the rejection utterly depressing. I was spending many days in Tamworth Library writing grant applications, postdoc applications and applying for data science courses/internships, since I think this would also be a very rewarding area in which to work. I was also exploring the possibility to become a secondary school teacher – the UK seems desperate to fill positions for good physics teachers from candidates with STEM backgrounds. Whilst I don’t want to share too much information about our personal lives, in the end, several factors including my wife’s UK visa status, our current financial situation, and support from my family, meant I chose to pursue another postdoc position as a researcher at the University of Valparaiso, Chile. I think it was one of those once-in-a-lifetime opportunities to do exciting science (with ALMA!) whilst exploring another part of the world, that fortunately appeared to fit our situation at the time. After receiving the offer of the position, I decided to go and check out the institute and the local area (I distinctly remember once considering moving to China “blind”, but those days are over). My wife had to return to China to see her family but also collect some paperwork that I correctly guessed she would need for the visa application. We had one of those rom-com moments where we both flew from the same airport at the same time yet going in opposite directions, Rongrong to China and myself to Chile. 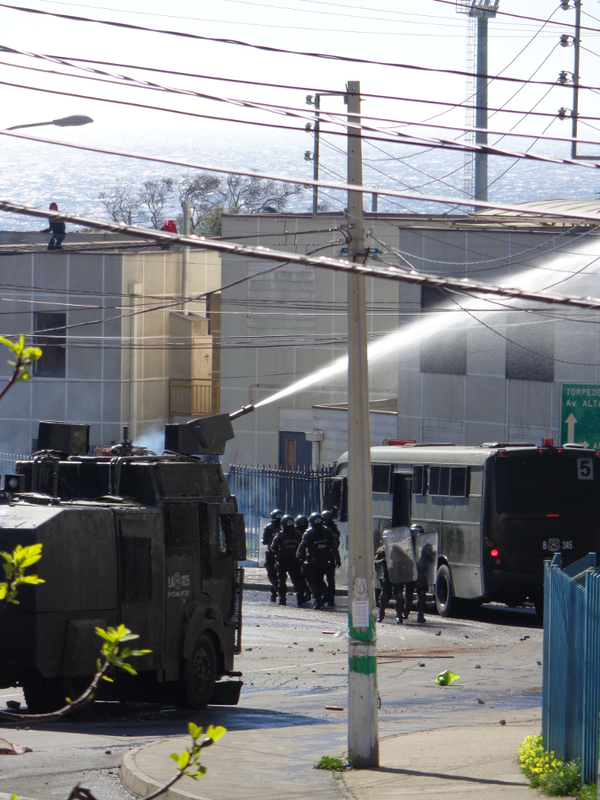 Valparaiso itself was a huge shock at first. Following the calm, quiet and mostly clean streets of Ghent, Valparaiso’s mess of dilapidated buildings, covered with graffiti, that line the dog-mess-covered pavements, took some getting used to. (EDIT: I’ve now fallen in love with the place.) The institute itself was nice and welcoming, and it was exciting to talk about research again. After many Skype calls, talking things through, I eventually accepted the position. Flying out to Chile to check out the place was a huge gamble, risking losing a lot of money, so in hindsight I’m very relieved that I liked the place. However, whilst I should have been celebrating the new job, something that took months of effort and doubt and uncertainty to secure, I simply could not. I’ve moved countries enough times to know that the journey was just beginning and the decision always comes with even more pressure and uncertainties; Could I handle the work? Could I beat the bureaucracy? Could we afford to live there? But it’s completely expected that, if you are passionate about a career in science, then you keep publishing and move institutes every few years. So I bottled it all up and we started the move. One would naively think that after applying for so many visas over the years, they get easier, but for me this has not been the case because each application has been for a different country and a different situation (e.g. work/study/tourism, single/married, transit/residency). For Chile, we required a one-year temporary resident and an accompanying dependent temporary resident visa. This required a police certificate (£50 each), a health certificate from a doctor (£150 from a private health clinic), a legalised document (constancia) from the University to say I will be working, and our marriage certificate. Acquiring these documents took three weeks, then we submitted the application online and waited about 6 weeks for the visas to be approved. In mid-July, we travelled down to London to spend a whopping £1200 on the visas (for reasons, UK passport holders pay a grand more than the Chinese). One thousand pounds for a work visa. I’ve held a couple, and that is by far the most expensive I’ve encountered. But, we were free to fly to Chile and start working! Our only problem: the flight tickets at the time were also £1000 each and by this point my credit card was hurting badly. We were advised that the relocation costs would be covered by the grant money associated with the position, so this wasn’t a huge deal for me at the time. So, we booked the cheapest flights possible, leaving in September (£500 Birmingham-Santiago return, try beating that!). I took the cheapest option to ship our furniture from our storage locker in Birmingham to Valparaiso, loading up a 2 m^3 container. This was made possible thanks to Ikea, absolutely amazing – we shipped a bed, two comfy chairs, two wardrobes, ironing board, laundry basket, four dining chairs, a dining table and coffee table, plus other household essentials, that all fit into just a 2 m^3 box! If Ikea helped make shipping everything possible, then Argos helped make the first month of science in Valparaiso possible. During the first half of 2015, it felt like we were bleeding money. Imagine the total cost of Eurostar tickets, weekend van hire, storage space, visa application fees, flight tickets to China, flight tickets to Chile, hotels, shipping costs… makes my heart heavy just thinking about all those costs just so I can continue to be a professional astronomer. My tight budget to move two people across the world was very tight, but my all my plans were extremely well-organised, and I thought that, once we arrived in Chile, the reimbursement of our relocation expenses plus the affordable cost of living would help cover most of our costs and we could return to normal life again. To help ease our financial worries, I took a job as a van driver at Argos, helping them set up a new home delivery process to compete with the likes of Amazon and other retailers. During the summer, I traded with them 600 hours of my life for roughly £3000, and was very thankful for both the opportunity given by, and the understanding nature of, the store manager. I hope my academic colleagues reading this now understand my slow response time to emails – I was working, just not researching! After all this, in September we finally made it to Chile. We immediately applied for our RUT cards (like a national identity number, you need it to do everything), headed to the institute, got tear-gassed twice by the police during nearby rioting, and moved into a temporary apartment rented via Airbnb (highly recommend Ignacio’s place!). Practically, we were very lucky, most things went according to plan and finding an apartment was very easy. Our portable Ikea showroom was delivered after much help from colleagues. I now have a desk and am finally back to doing research. Unfortunately, the Registro Civil – the government office responsible for giving our RUT cards – has been on strike all month, so we haven’t been able to get the cards, and so cannot open bank accounts, sign my employment contract with the University, or sign our rental contract. On top of this, I’ve also been advised I cannot claim back any of our relocation expenses and also won’t be paid for the first month here, as the contract will start from October. So, although making very rational and logical decisions, we return back to the same situation as when we were in Ghent, unsure of our finances and employment situation. The great news is I’m now analysing ALMA data and doing science! Sure, this situation is not normal and just an unfortunate coincidence with the government strike. But I’ve found the last five or six years in academia to be terribly inefficient for doing science: moving countries to a new institute, taking time to adjust and be productive, and saving up just enough money to afford the next move to the next institute. In all the commotion and uncertainty, it’s obviously difficult to concentrate on work sometimes. However, in the current academic system it is expected and encouraged that a postdoc should jump through all these hoops whilst continuing to publish. I greatly admire those researchers who have also been able to start a family. As I said above, these are just the facts of our recent move, this is not a rant, just a testament about the system itself. You make a decision to do research, be a scientist, and you open yourself up to financial uncertainty, job insecurity and a lot of stress. We should be honest about these issues with aspiring students. I’m not sure whether other postdocs share similar experiences as documented above, or I’ve just been (un)lucky with each move, but I find the system bizarre: surely there has to be a more efficient way we can do things? Yet, I stand by my decisions to pursue a career in science. Ultimately, I wouldn’t trade these experiences for anything. Despite the tear-gassing, earthquakes, government strikes and financial mess, so far I am very much enjoying living in Valparaiso and fully appreciate the opportunity to continue with research. The position is only for two years and, if I have learnt anything from leaving China and leaving Belgium, I should soon start making plans for the next stage of my career. Wherever that will take me.